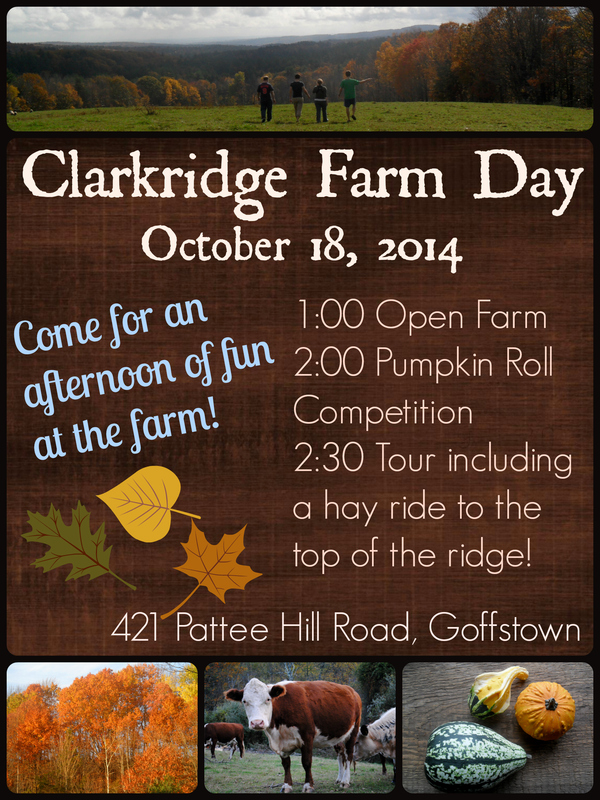 Clarkridge Farm Day is coming! October 18th, 1:00 pm. Thanks to a great response from word of mouth we’ve sold out of meat for the year. If you didn’t get some this year feel free to add your name to our customer list. New this year: The Pumpkin Roll! Bring or buy a pumpkin to purchase a ticket to enter in to our pumpkin roll competition. Try and hit the target at the bottom of the hill to win the Clarkridge Farm fall prize basket! We will also have a hay ride to the top of the ridge. We are looking forward to seeing you there!